Materials that change one or more properties significantly in a predictable fashion by external stimuli like stress, temperature, pH, electric or magnetic fields are popularly called smart and responsive materials. The research group is involved in synthesizing and exploring various responsive materials such as smart gels, phase change materials and stimuli sensitive polymers. Current research fields are shear reversible alumina gel, microencapsulation and nanoencapsulation of phase change materials and stimuli sensitive polymers and fibers. 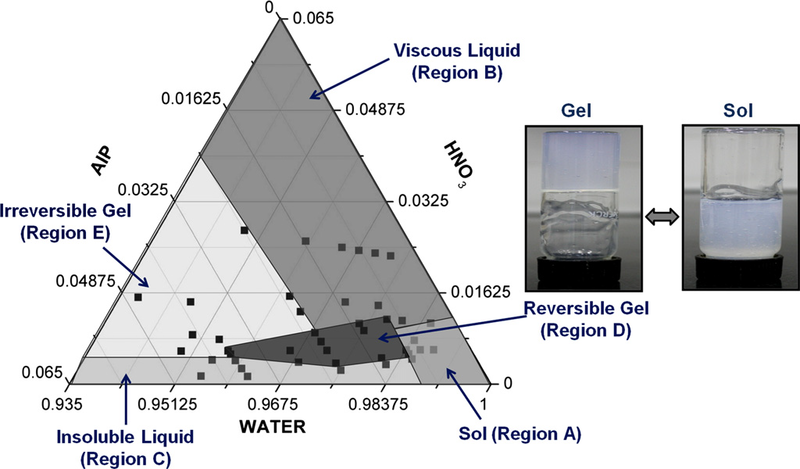 Smart gels are the reversible gels which change their phase with change in the stimulus like pH, temperature, pressure, electric field, ionic strength etc. The stimuli sensitive gels are generally used for Direct Ink Writing (DIW). Various kinds of gels have been explored as ink materials which fulfill the rapid gelling requirement. 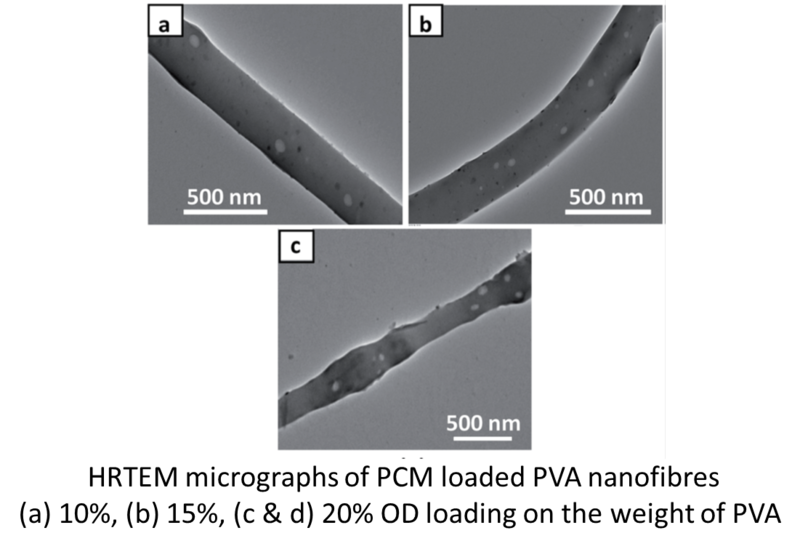 In the current study, alumina gels which were observed to get transformed into sol on shear and further reversibly regain the gel phase have been explored as direct ink writing material. Kiran Yadav, Manjeet Jassal, Ashwini K. Agrawal, Shear Reversible Alumina Gels for Direct Writing, Journal of the American Ceramic Society (2014) 97(12), 4031-4036. Poly(N-isopropylacrylamide) (PNIPAAm) has been extensively studied due to its lower critical solution temperature (LCST) close to 32 °C. It finds application as switchable substrates for temperature-controlled cell harvesting and for control of bacterial biofouling. The PNIPAAm hydrogels provide a negative temperature-responsibility to the drug release, i.e., slow drug release at higher temperature and rapid drug release at lower temperature. In the current study, responsive PNIPAAm based hybrid nanoparticles with the capability of modifying textile surfaces to create switchable hydrophobicity have been synthesized by reaction of epoxy modified silica with stimuli responsive poly (acrylic acid-N-isopropylacrylamide). A series of dual responsive (temperature and pH) linear copolymers of AA and NIPAAm were successfully synthesized. The hydrodynamic diameter of hybrid particles showed a reversible change in the diameter from 2366 to 1146 nm with change in temperature. 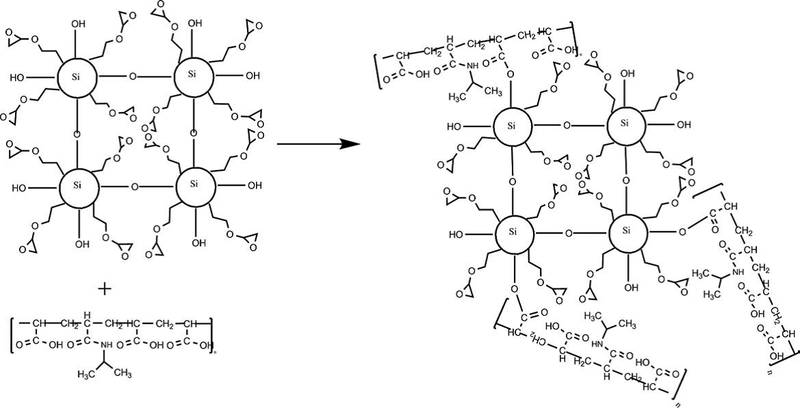 Priyanka Dey, Virendra Rajora, Manjeet Jassal, Ashwini K. Agrawal, A novel route for synthesis of temperature responsive nanoparticles, Journal of Applied polymer Science (2011) 120(4), 335-344. Microencapsulation is a process for the protection and controlled release of active ingredient (core) within a secondary material (matrix or shell) to form capsules. In our study we tried to overcome these problems with a multi-pronged approach. n-octadecane (phase change material (PCM)) is encapsulated in melamine formaldehyde (MF) resin. Excess foam formation can be controlled by reducing the Emulsifier content. Yield can be optimized by giving sufficient reaction time. Micro-capsules with high reproducibility were thus obtained. These were found to be stable at temperatures more than 80 °C and to cyclohexane. A thermo regulated fabric was made by coating these capsules over cellulose- polyester fabric to give heat storage capacity of >160 J/g. In another study the n – octadecane are encapsulated within the polyurea matrix using interfacial polymerization. Toulene 2,4-diisocyanate (TDI) and diethylene triamine (DETA) are used as bulk monomer whereas cyclohexane as solvent. The encapsulation efficiency was found to have a strong dependence on PCM to cyclohexane ratio and also on monomer to core ratio. The PCM microcapsules were found to be stable to heat treatment at 150°C for 8 h.
M. Palanikkumaran, Kishor K. Gupta, Ashwini K. Agrawal, Manjeet Jassal, Effect of Emulsion preparation method on Encapsulation of n-Octadecane using Melamine-Formaldehyde, Indian Journal of Fibre & Textile Research (2010) 35(2), 101-106. 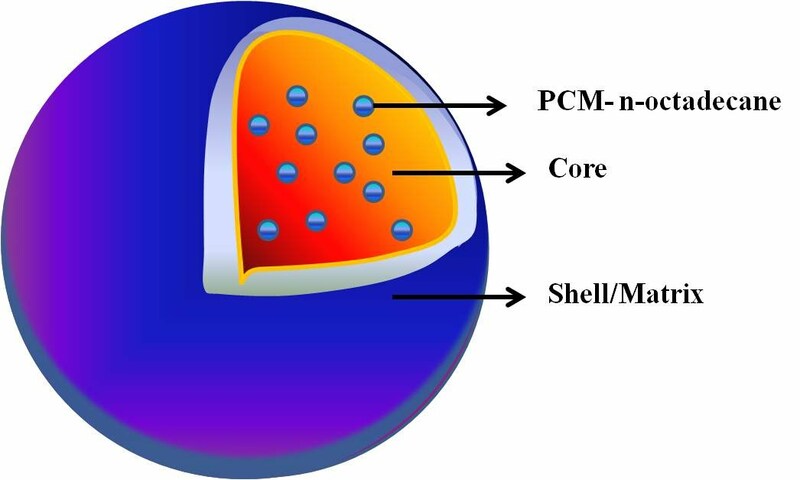 M Palanikkumaran, Kishor K. Gupta, Ashwini K. Agrawal, Manjeet Jassal, Highly Stable Hexamethylolmelamine Microcapsules containing n-Octadecane Prepared by In situ Encapsulation, J. Appl. Polym. Science (2009) 114, 2997–3002. 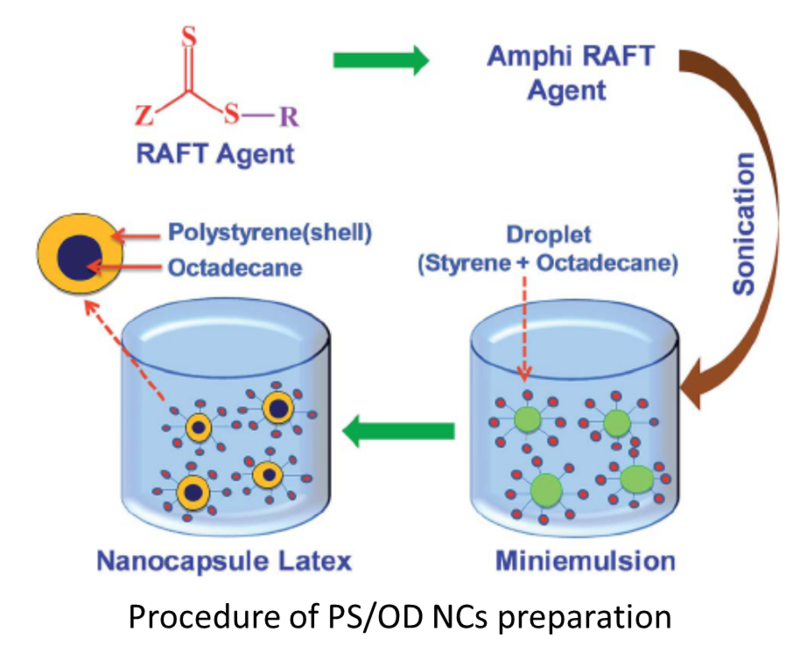 Nanocapsules of n-octadecane as core and polystyrene as matrix material are made by surfactant free RAFT mini emulsion polymerization of styrene. These capsules are electrospun with poly vinyl alcohol to make composite fibers having latent heat storage capacity of 4-5 J/gm.